Google has begun the rollout of Android P Beta 2 update which, among Adaptive battery and App Actions, also brings 157 new emojis such as a superhero, lama, hot/ cold face, etc. and some aesthetic changes to a few old ones. However, a notable change introduced by the latest update is gender-neutral emojis. 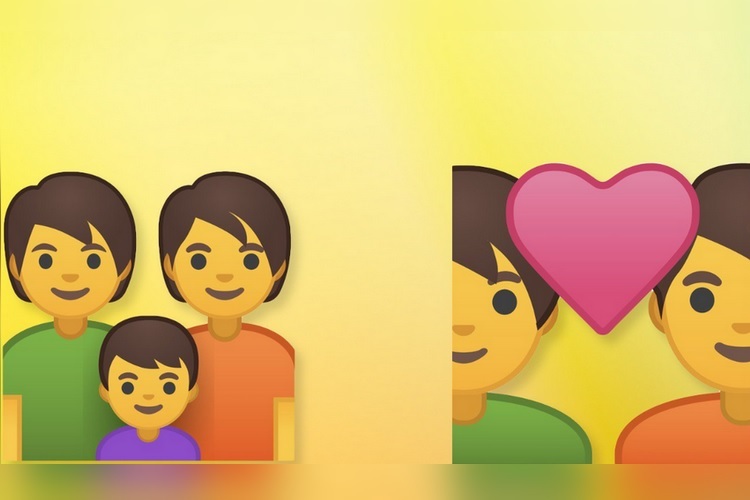 The ‘family’ emoji now represents a gender-ambiguous pair of parents, while a ‘couple with heart’ emoji shows a pair of gender-neutral individuals. However, there is also an option to select the specific combination of genders for any of the two emojis. For example, you can choose an emoji of a heterosexual or gay or lesbian couple by specifying the gender. These emojis are not new, as they are already present in the Unicode Standard. 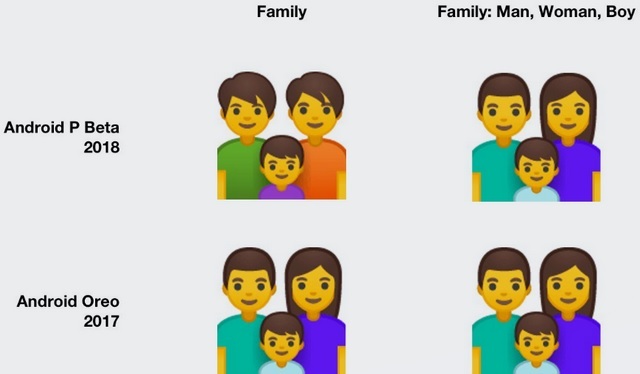 The only change is that Google is now taking a different approach as part of which, a gender-neutral or gender-inclusive emoji will be presented as a result, if the gender of the members in a family or couple is not specified. In previous builds of Android, searching for a ‘family’ emoji would always present an emoji consisting of a man and a woman, which was outdated for modern times. The same happens in case of a ‘couple with heart’ emoji query, which shows a heterosexual couple by default. The ‘family’ and ‘couple with heart’ are the only emojis that adopt the non-binary approach of depicting a gender-neutral emoji. As per an official Emojipedia blog post, ‘While this update is not a return to gender neutral blobs, it does recognize that a choice of Woman-Man, Man-Man, or Woman-Woman couples may not be a good fit for people who don’t identify as either gender’. The changes are now live for users running the Android P Beta 2 build, and will be rolled out on a wider scale when it is released publicly later in July or August this year.